Clinton Miner is a founding partner and attorney at Storer and Miner since 2010. Miner specializes in litigation, workers' compensation, and personal injury. Miner received his juris doctorate degree in law from the University of Idaho College of Law in 1988. 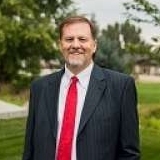 With over 25 years of experience, Miner attributes his success to his personal relationship with clients and the Idaho State Bar. Miner has been awarded "Highly Rated in Both Legal & Ethical Standards" for 2007, 2012, 2013, 2014 by Martindale-Hubbell. In 2007, Miner was awarded "Champion of Civil Justice" by the Idaho Trial Lawyers Association.